Phlebotomists are highly specialized members of the health care team working with patients of all ages in a wide range of health care settings. 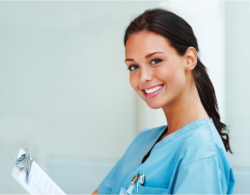 Phlebotomists are often the first medical professional that interact with the patients. They have an opportunity to create a positive impression on behalf of the entire health care system. Phlebotomy is more than a job. It offers flexible hours, good pay and an opportunity to help others. Zurik Healthcare Institute offers the Phlebotomy Technician program over a nine week period with classes held three days a week. The program will be delivered in two phases namely the classroom phase and the clinical phase. The course covers 70 hours of theory and 20 hours of hands-on experience in both intravenous and capillary blood drawing in a clinical setting and lectures in phlebotomy related concepts. The student will be expected to perform a minimum of 25 successful unsupervised venipuncture using standard equipment, as well as a syringe and butterfly apparatus. An Orientation session is mandatory and must be attended prior to starting your first day of class. No exceptions.